Samsung could be preparing to launch a Wear OS-running smartwatch after it ditched Google's platform for its own in-house Tizen OS four years ago. That suggestion comes courtesy of comments made by serial (and usually reliable) Samsung tech leakster Ice Universe on Chinese microblogging site Weibo that claims, "Samsung and Google will have an Android Wear flagship watch in the second half of the year". While we still anticipate Samsung to show off the Gear S4 later this year, the question now is whether it's going to veer away from its own Tizen OS in favour of Google's. Or maybe it could be planning to offer an additional watch running on Wear OS. It's also something that another reliable leaker, Evan Blass, corroborated after the initial claims, tweeting the below. We know that Samsung has recently received patents for a Samsung Galaxy Watch, and, should the company's next generation smartwatch go by that name, it would signal a change from the usual Samsung Gear naming convention. 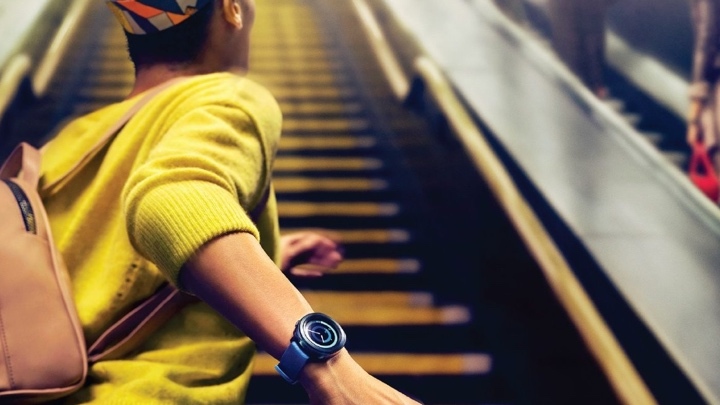 Could that be an indication that Samsung is planning to change tact on the smartwatch front? Okay, we are going all Columbo here. For those that know their smartwatch history, Samsung joined LG in ushering in the first generation of Wear back in 2014 with the Gear Live. Before that, there was the Android-based Samsung Galaxy Gear, which was updated to run Tizen OS through a firmware update months later after its release. So it would be an interesting move if Samsung decided to give Wear a second chance. Also, it would surely be a major coup for Google to have the Korean tech giant back on board. A Wear-packing Pixel Watch and a Samsung watch? That's a big deal. With the Apple Watch continuing to grow in popularity and Fitbit making a bigger smartwatch push, this could be the shot in the arm that Wear needs to get back on track. It could of course all be utter nonsense, too. But we kind of like the idea of Samsung rejoining the Wear clan. Would you be game for a Samsung Wear smartwatch? Let us know in the comments section below.